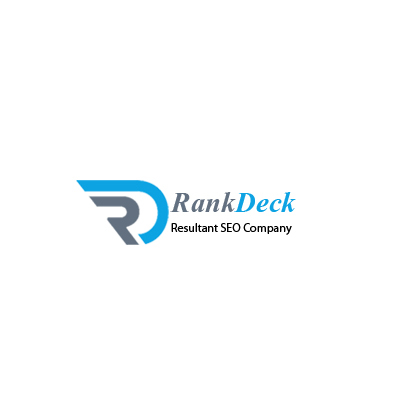 Rankdeck SEO is internet marketing company generates excellent results for numerous services such as search engine optimization, pay per click, and social media optimization. Our specialized team with success completes all the tasks with extreme results for many companies. Our perfect efficiency recognized us as a well-known name in this aggressive and result-oriented SEO industry. RankDeck provides a variety of Pay Per Click solutions, including social media advertising, search advertising, remarketing, mobile advertising, Google shopping ads, and display advertising. RankDeck's SEO Services provide a variety of search engine optimization solutions, including on-page & off-page SEO, local SEO, linkbuilding, global & national SEO, and eCommerce SEO. RankDeck's social media optimization services include new account setups, posting services, review generation, and paid advertising options that will help spread awareness and drive engagement.